This remote control is manufactured to operate this model only. Simply insert batteries. 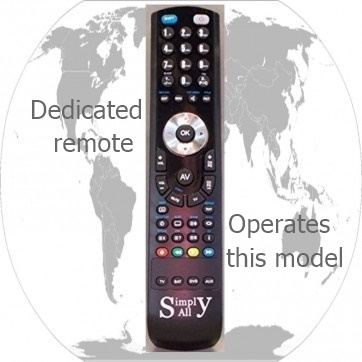 All our remote controls may look the same but are electronically identical to the original Sharp RRMCG0456CESA remote control with all the functions you need. We have a huge database of makes and models of remote controls and we can manufacture an electronic copy for every model at the same low price which includes posting. Simply insert the batteries (supplied) and start using.